- Kloster-Jensen, E., H.J. 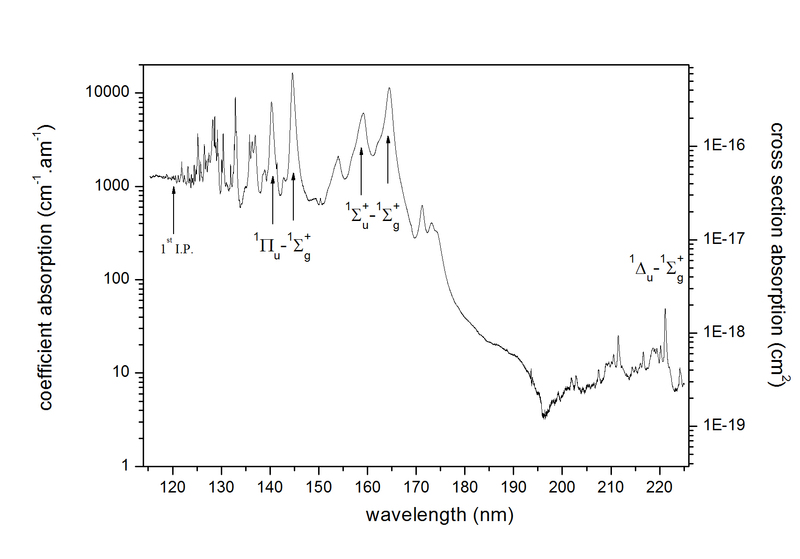 Haink, and H. Christen, The Electronic Spectra of Unsubstituted Mono- to Penta- Acetylene in the Gas Phase and in Solution in the Range 1100 to 4000 A. Helv. Chim. Acta, 1974. 57(6): p. 1731-1744. - Fahr, A. and A.K. Nayak, Temperature Dependant Ultraviolet Absorption Cross Sections of 1.3-Butadiene and Butadiyne. Chem. Phys., 1994. 189: p. 725-731. - Smith, N.S., Y. Benilan, and P. Bruston, The Temperature Dependant Absorption Cross Sections of C4H2 at Mid Ultraviolet Wavelengths. Planet. Space Sci., 1998. 46(9/10): p. 1215-1220.